My video focuses on the little known Diefenbunker. It is a 4 story underground military shelter built during the Cold War between the Soviet Union and the United States (The Cold War took place between 1947 - 1991. A Cold War is when countries are in conflict with each other, but no military action is actually taken. Instead both sides amass their weapons, in this case Nuclear, and make threats to each other). My virtual tour allows people to experience what it is like in the Diefenbunker. To find out more, just take my tour! 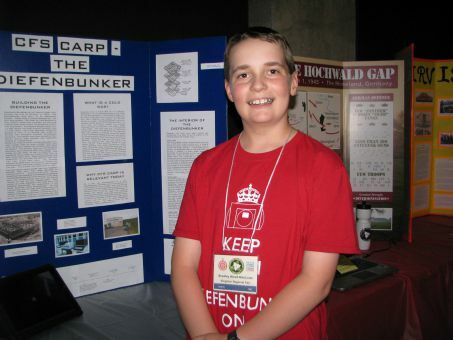 The most interesting thing that I have learned about my topic is that if a nuclear bomb was dropped on Canada and the Diefenbunker had to be used (during the Cold War), the people inside the bunker thought that they would be able to survive for 3 months and then everything would be fine! We now know this is no where near enough time for the nuclear contamination to clear. An important lesson that I have learned from studying this topic, is that if we don't resolve our conflicts diplomatically (by talking), then problems will follow. When I compare my life today and the lives of the people that lived during the Cold War, I feel lucky that I do not live in constant fear of nuclear destruction. However, I cannot help but think about how Russia has recently invaded Crimea and wonder if maybe I should be scared?